Christmas is the time for your family and friends! 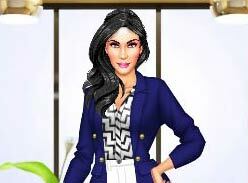 Superstars like the Kardashians sisters think the same, too. Kim, Jenner and Kylie will spend Christmas time together this year. As fashion icons, what should they wear for the Christmas dinner? 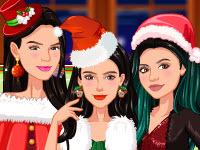 Check out their super glamorous Christmas wardrobe and find the best outfits for the Kardashians sisters! Red, green, gold and dazzling are the colors we are looking for! Select some cute Christmas accessories for them, too! Merry Christmas everyone!